REW Hydraulic jacks and Re railing equipment are Ease of operation, Simplicity in handling, Robustness and Stability under load. REW Hydraulic jacks and re-railing equipment uses the double-acting re-pressure system which has proved itself throughout the entire field of industrial hydraulics. 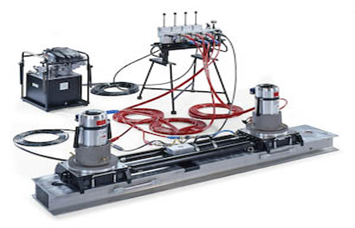 This system makes it possible to lift, lower, push or pull with (millimeter) precision. 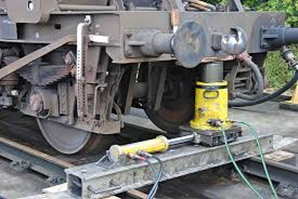 The system has been designed so that, depending on how the components are put together, any rail vehicle (Railway carriage, Locomotive or traction unit and also the very heaviest Rail car) can be up righted and re-railed. 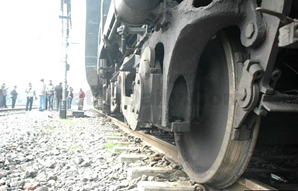 REW applies the highest safety standards to the re-railing system. Ease of operation, simplicity in handling, robustness and stability under load are some of the salient features of the system.